Skeptical of beer in a margarita? We were, too, until we tasted this 3-ingredient recipe for Beer Margaritas. Now it’s an easy signature cocktail for our March Madness party (or any party, for that matter)! I’m not gonna lie; this recipe for Beer Margaritas was not high on my list to try. You know we take our margaritas pretty seriously around here (we have no less than six margarita recipes on Garnish with Lemon right now – everything from a traditional Mexican margarita to a killer blueberry flavor). So just the idea of putting beer in my margarita seemed sacrilege to me. But who knew that beer would be the secret ingredient to a quick and easy margarita? These refreshing Beer Margaritas have only 3 ingredients and taste way better than any bottled mix. I sampled a number of different versions of this recipe. Some were heavy on the beer. Others threw in club soda or lemon-lime soda. 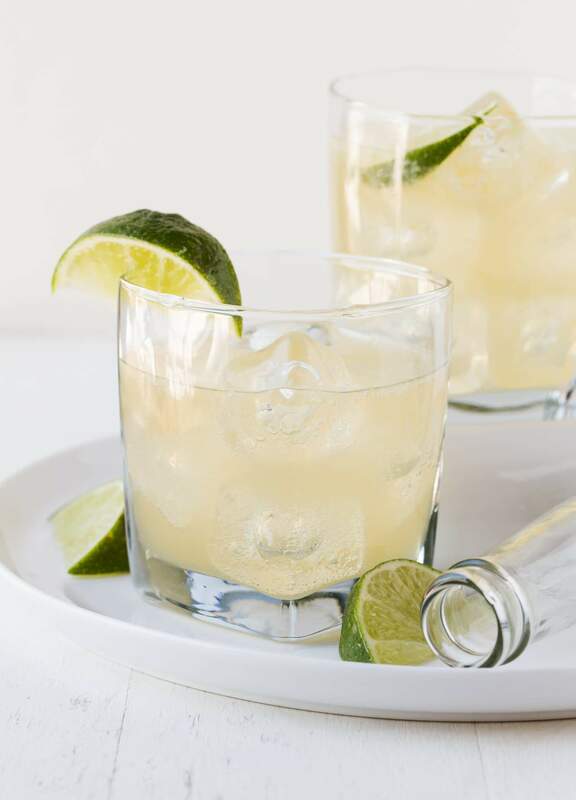 For me, the best balance of flavors – and the closest flavor to an actual margarita – came from equal proportions of all three ingredients: beer, tequila and limeade concentrate. 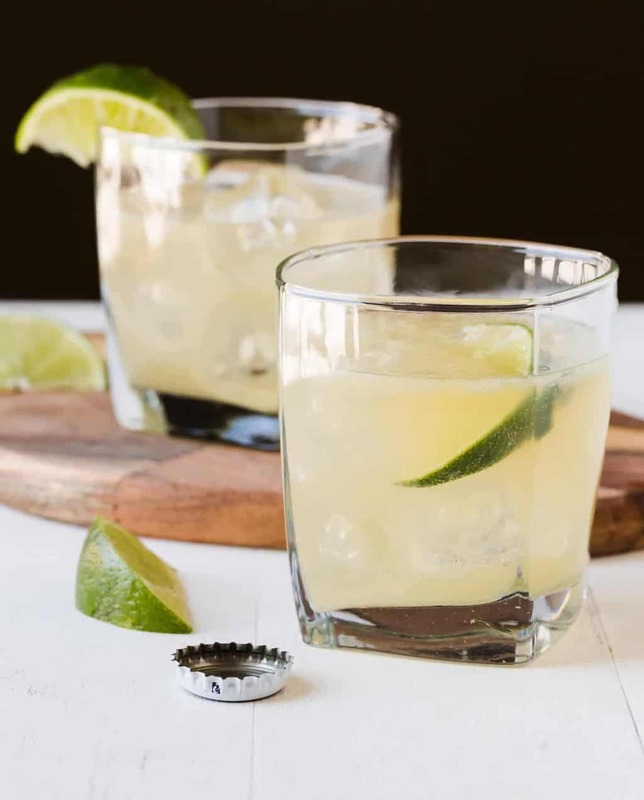 You can use either gold or silver tequila in these Beer Margaritas, but a regular old pale lager is a must in this recipe. Save your darker beers or fancy microbrews for another occasion. Tip: Serving a crowd? You can multiply the recipe and serve it as a batch cocktail in a pitcher (or two). Or simply set out the ingredients for guests to make individual drinks themselves. You could make a small recipe card for guests to follow, but all that’s required is equal parts beer, tequila and limeade concentrate. It doesn’t get much simpler than that! Light, refreshing and easy to make, pin this Beer Margaritas recipe for last minute parties and for lazy nights on the patio this summer! Stir together all three ingredients and pour into ice-filled glasses. Garnish with lime wedge, if desired. Multiply the ingredients for an easy batch cocktail.